Graham Campbell's dish makes a light and bright summer starter. 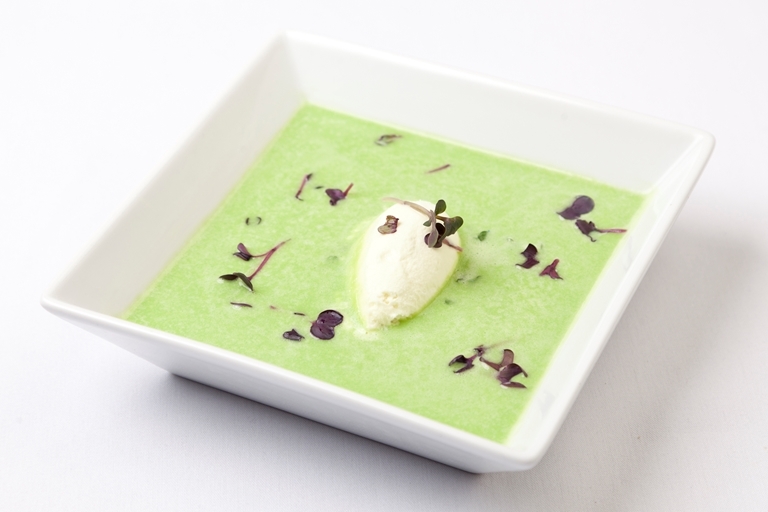 This simple pea velouté recipe is made a little bit tougher by the inclusion of a fennel sorbet - but you can leave this out if you prefer. Both maltodextrin and stabilizer for the sorbet can be found online. Have a look at our collection of peas recipes for more ways to use peas in your cooking.